Wake up feeling rested with Sleep Cycle. 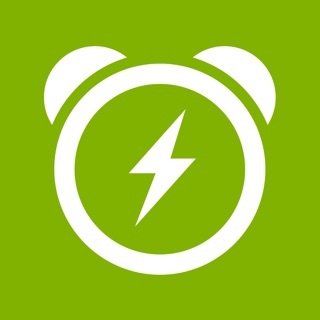 Track your sleep and get analysis that helps you get a good night's sleep. Start your day feeling energized with our intelligent alarm clock that is designed to gently wake you up while you’re in your lightest sleep phase. Plus, you’ll get detailed analysis as Sleep Cycle monitors your sleep patterns from the moment your head hits the pillow. 1. Gently does it - Waking you up while you’re in a light sleep is the natural way to wake up. 2. Understand your sleep - Learn about your sleep patterns with detailed analyses. 3. Nothing under your pillow - Simply turn Sleep Cycle on before going to bed, and place your device on your nightstand or close by on the floor. Understanding your sleep patterns mean you can wake up feeling refreshed and ready to start your day. 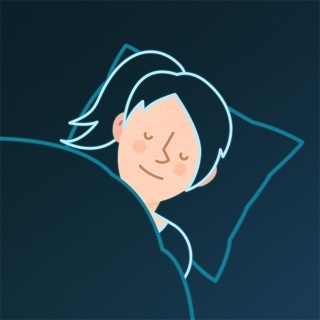 Download Sleep Cycle today for the easiest way to get a good night's sleep. Ability to charge your phone by the bed. Ability to place your phone near the bed, such as on a nightstand table or on the floor. The optional Premium subscription costs $29.99 per year. We regularly work on improving the stability and performance of our app... By time, all these minor fixes adds up to a release that's worthy to proclaim it contains: "Bug fixes and improvements". When your alarm goes off in the morning, is your first reaction to throw it against the wall? The problem isn’t with you—it’s with your alarm clock. Thankfully, Sleep Cycle offers a clever solution for improving your rest. Rather than yanking you from your slumber at a specific minute, the app analyzes your sleep patterns and then picks the moment you’re sleeping lightest (within a half-hour window you define) to rouse you gently. Best of all, unlike some smart alarms, this one doesn’t need extra hardware or require your device to be resting on your bed: it tracks your sleep using just its microphone! If you’re not a morning person or even if you are, but want to wake up with more energy, get Sleep Cycle. I hate mornings. In a perfect world I would be able to sleep 10-12+ hours a night and not get up before 10 am. But unfortunately I am not in college anymore, have a family to take care of and have a grown up job. Before I started using Sleep Cycle I would set at least 10 alarms (on my phone, my iPad and an alarm clock on my nightstand). Even with that I constantly struggled to get up on time and when I eventually got up I had zero energy. That instantly changed when I started using Sleep Cycle. The first morning felt great, but thought maybe I just finally slept good. After using Sleep Cycle for at least 6 months now I can confidently say that it is the reason I wake up on time and with plenty of energy. Before Sleep Cycle I could hit the snooze button and fall right back to sleep. Because Sleep Cycle wakes me up when I am in a light sleep, once I am up I usually can’t fall back asleep. Sleep Cycle has also helped me get better sleep by tracking my sleep quality and identifying variables that cause me to sleep poorly. I hesitate to say any app is life changing, but there is no other way to describe Sleep Cycle. It has changed my life for the better and I am so thankful the developers created it. I think I have found the perfect combination of alarm clocks. I always set Sleep Cycle to be my first alarm, and another app called SpinMe Alarm Clock as my backup. Sleep Cycle usually wakes me up in my optimal wake up time, but sometimes it just isn’t enough for me and I’ll either snooze through it or turn it off and go back to bed. If Sleep Cycle fails to wake me up, my backup alarm SpinMe will start blaring which can only be turned off if I get out of bed and spin around a couple times before it finally shuts off! Crazy but it works and I haven’t been late to work since I started doing this routine. And no you can't just spin the phone around in your hand! Sleep Cycle really does help in waking you up during your light sleep. I can feel it working most mornings. And I have studied the science behind sleep so I can attest that the premise of this app isn’t merely a placebo, but something that has actually been proven. However the problem that this alarm clock doesn’t solve is that sometimes (especially on nights where you get very little sleep), it can be really easy to ignore your alarm clock and really hard to wake up. That’s where SpinMe Alarm comes in, an alarm clock that is impossible to ignore and forces you out of bed. I highly recommend using these 2 alarms together. Best few dollars I’ve ever spent! !